This meeting is designed to provide clinicians in practice and trainees with a comprehensive review and update of the clinical practice parameters across most sub-disciplines of radiation oncology. The course will review key evidence that forms the basis for current clinical practice guidelines and trends in new approaches that may be paradigm shifting areas. Additionally, the course will cover basic and applied radiobiological and physics principles that are relevant to and may explain results being obtained with current clinical practices. 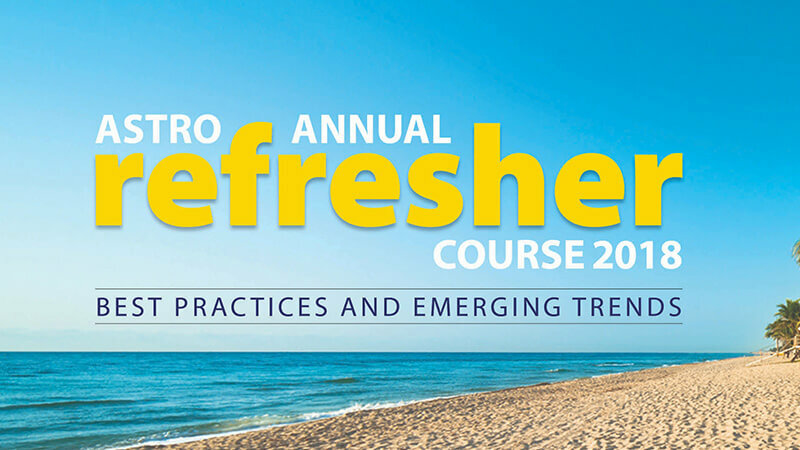 Interactive and didactic sessions that provide practicing clinicians and trainees with a comprehensive review of the core competencies, along with updates on the emerging trends across most sub-disciplines of radiation oncology. Organized, thoughtful presenters covers evidence-based and practical current standards of care, in addition to ongoing clinical trials and future developments in the field. Content that connected radiobiological and physics principles to relevant, clinical cases. A highly-rated and concise meeting with networking opportunities.